It's official. 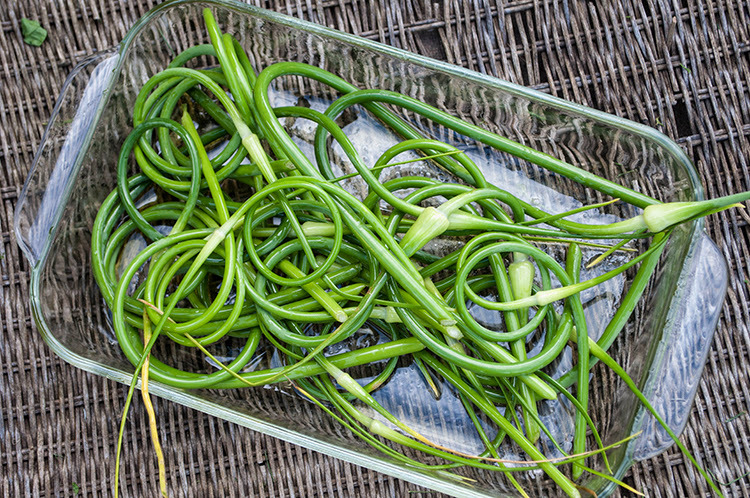 I am in love with garlic scapes. I wish I had enough to string them from the rafters. my new found passion for scapes. Coated in olive oil and then placed on the grill for about 10 minutes. so he graciously let me be his sous chef. while the flavour is mellow with just a quick bite of garlic, better than candy I'd say. Serve them like cocktail shrimp, they make a great finger food. Just provide napkins to soak up the olive oil....or you could just lick your fingers! That does sound good! I will have to remember that next year when I'm loaded in scapes. 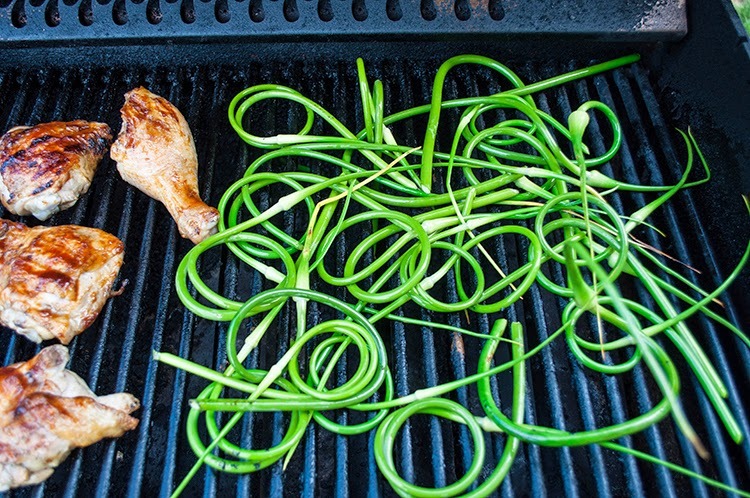 I'd never heard of garlic scapes before, now where does one get them Mr Google ;-) that chicken looks delicious. Wow ... what a good idea. 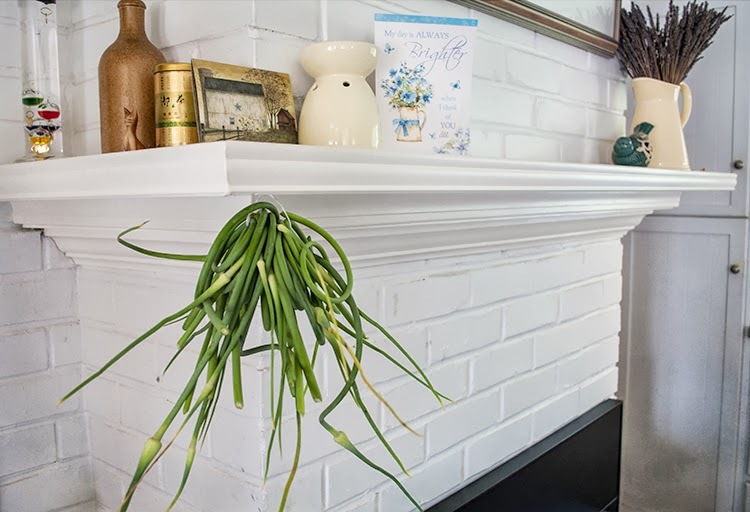 I used to grow garlic -- many, many years ago -- wish I'd been smart enough to try this! Have a lovely week. Delightful swirls and twirls . . . I must try growing some! I love garlicky! Here's something new - I'm going to have to learn about this . . Your Photos are Lovely!!! 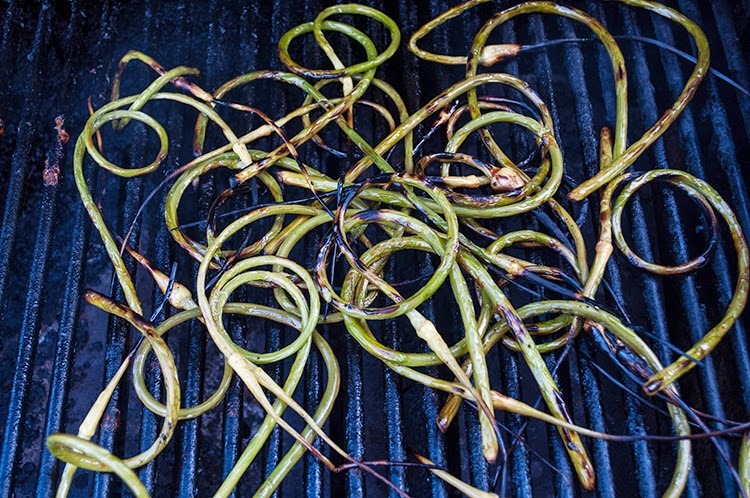 Garlic...scapes...grill - who can resist this combo!! Sounds delicious!! I have a small bunch of these growing by the house and I marvel at their graceful shapes. Never thought of grilling them. Genius! They look delicious! I have not seen them before either but I will keep my eyes open at the farmer's market. These are new to me! 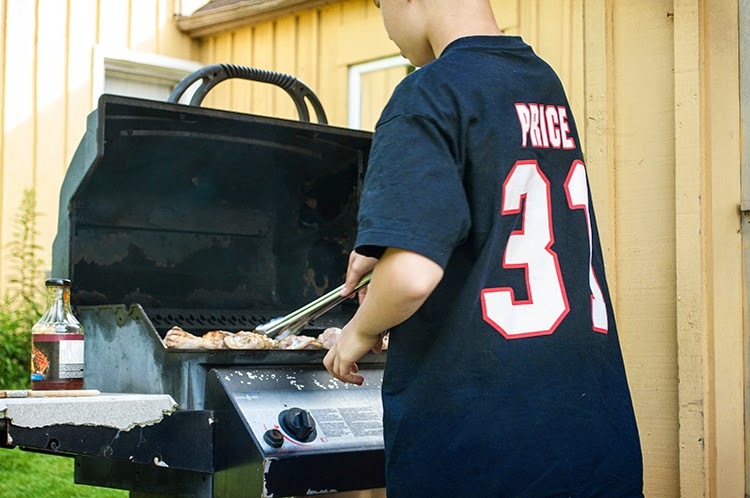 They look delicious on the grill! By the way, your header is beautiful! I've never heard of these - they LOOK awesome! !